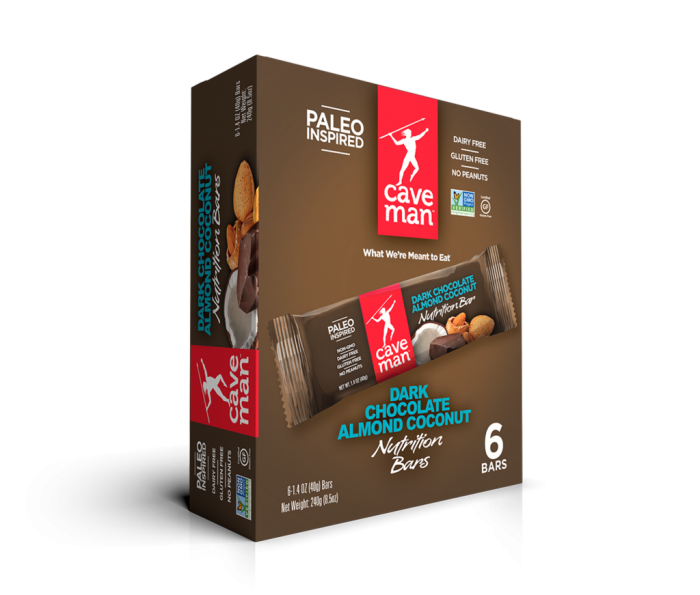 Then the Caveman brand nutrition bars evolved a bit: they got a new logo, and substi­tuted a photo­graph for the see-through window. But the packaging was still not quite working. The bars were actually really good once you opened one and bit into it, but they didn’t photo­graph well. The photog­raphy did not differ­en­tiate the different flavors from one another either—the packages did not look inviting and all the bars looked the same. Finally Caveman brought in a new brand manager, Ken Salvo. Ken told them that cave men did not use cameras—they preferred to commu­nicate to fellow humans through graphics. A graphic was like a cake made from scratch compared to the usual cake mix. And the illus­tra­tions by Paul Mirocha focused on the unique ingre­dients in each bar rather than what the bars looked like. The ingre­dients empha­sized the various flavors and how they combined. A customer could use their imagi­nation which was more accurate than any photograph. 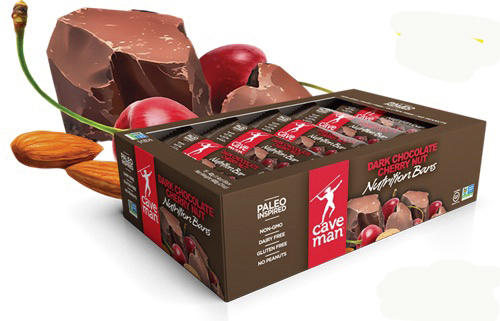 Caveman Food bars finally got intel­ligent and stood up to be noticed. All seven subspecies of them.